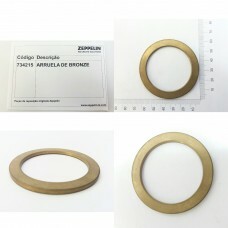 Spare parts for the Zeppelin Systems ROUND DIVERTER FOR CONVEYING PADS. 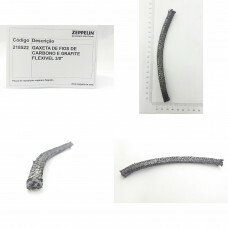 Developed to deflect material between two flow paths of material in pneumatic transport with transport rails. 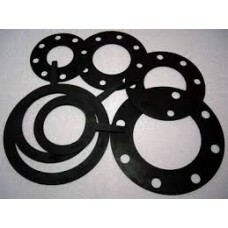 Mounted in horizontal passage, with possibility of manual, motorized or pneumatic operation. 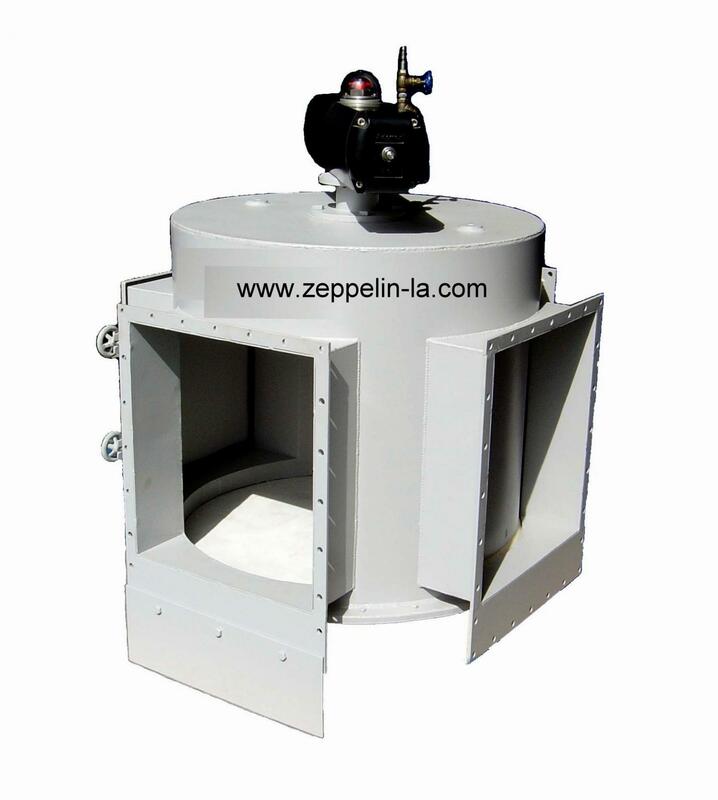 The rail diverter valve allows directing the flow of material to a lateral fluidized rail. 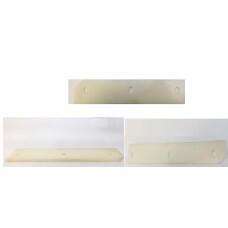 It is installed between transport rails which allows feeding of new discharge points. 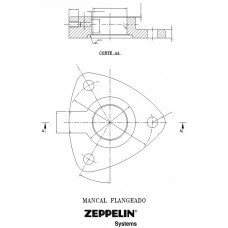 In addition to the straight path, you can, by pneumatic or motorized drive, divert the flow of dry material to the right or left according to the installation configuration. 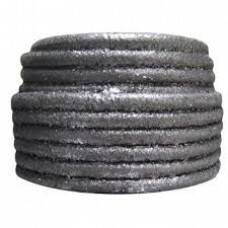 The diverter valve transports the same products transported by the transport chute are: cement, raw flour, slag, alumina, nickel ore, calcined nickel powder, sinter powder, coal powder, etc. 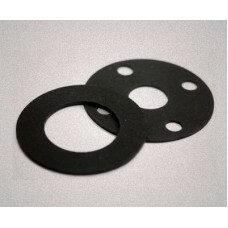 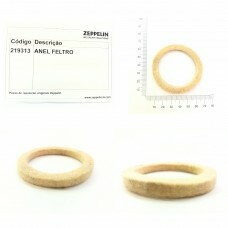 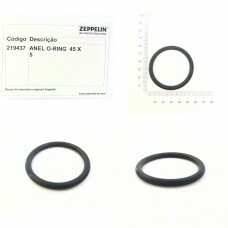 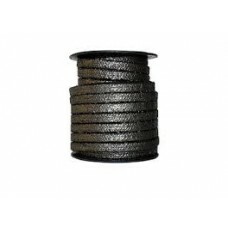 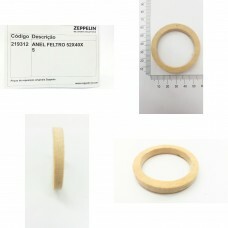 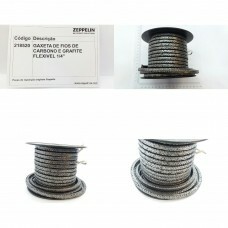 ANEL DE FELTRO 58x45x5MM UTILIZADO EM EIXO DE DESVIADORES DE CALHA..
ANEL O-RING 45 X 5 MM PARA DESVIADOR DE CALHA UTILIZADA COMO VEDAÇÃO A PROVA DE VAZAMENTO FABRICADA ..
ARRUELA PARA DESVIADOR DE CALHA REDONDO FABRICADA EM BRONZE..
GAXETA 3/8" EM ASBERIT RESISTENTE A DESGASTE PARA DESVIADOR DE CALHA..
GAXETA 3/8" EM FIOS DE CARBONO GRAFITADA RESISTENTE A DESGASTE PARA DESVIADOR DE CALHA..
JUNTA DE VEDAÇÃO EM BORRACHA PARA FLAP DE DESVIADOR DE CALHA..
MANCAL FLANGEADO EM FERRO FUNDIDO COM ROLAMENTO E ENGRAXADEIRA PARA LUBRIFICAÇÃO PARA DESVIADOR DE C..
PLACA DE FELTRO PARA DESVIADOR DE CALHA PERMITE VEDAÇÃO CONTRA PÓ..
REGUA RASPADORA EM POLIETILENO PARA DESVIADOR DE CALHA PERMITE EXCELENTE VEDAÇÃO..